I was able to still continue sewing the "surprise" gift for my eldest daughter even if it is her birthday already. When I say continue it means I am done with the embroidery it is just to make it into a pillow form and the cotton in it. 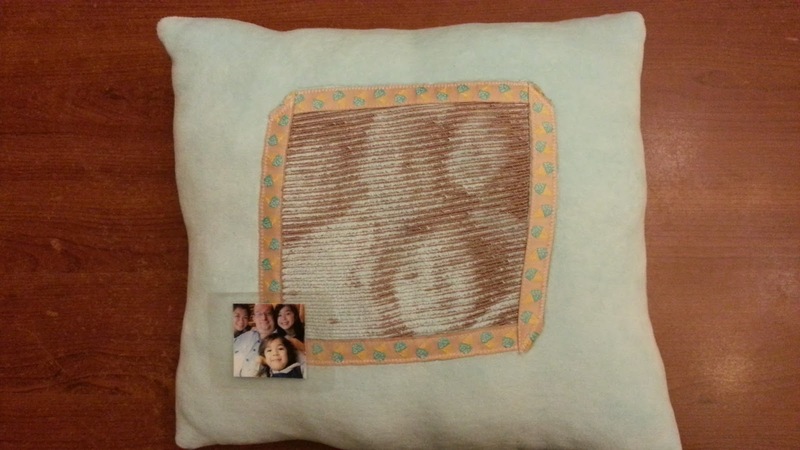 Luckily I did, I asked this last December to somebody at etsy to digitized the photo to make it a photostitch and the result is this! I will also do this for my youngest daughter but then I have to use a flat fabric so that it will be at least much clearer then. This took 2 hours at least. Labels: birthday gift, photostitch, pillow, surprise.